It’s finally here! I’ve been anxiously awaiting the moment when I could show this to you guys, and that moment has arrived at last. I’ve been considering the cover for Almost Invincible for a while now and debating different ideas to go with. I think this book is even more fast-paced and brutal than Hero Status and Villainous, so I wanted a cover that had a thriller feel while still keeping that superhero vibe. I think the final cover really nails it, and I’m super happy with the result. What do you guys think? White Knight is the most popular superhero in the country—which is bad news for David Del Toro, formerly White Knight, who retired from heroics years ago and just wants some peace and quiet. When the White Knight ride at a superhero-inspired theme park has a grand reopening, Dave is more than happy to pass off his complimentary tickets to his daughter and her friends and spend the day at home. But then the park gets taken hostage by supervillains. 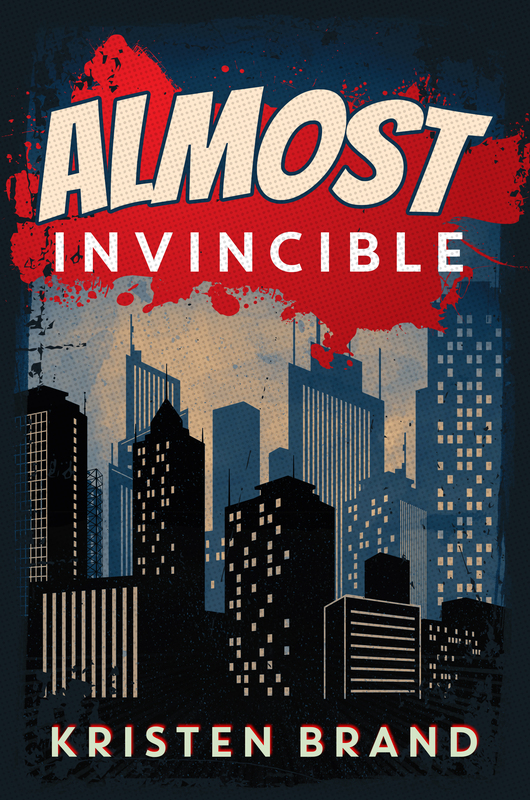 Almost Invincible hits the Amazon Kindle store on September 30th. Follow this blog or my account on Twitter to get notified as soon as it goes on pre-order. Oh my GOD a new book! I’m so excited 😀 I love the cover by the way! it just POPS.